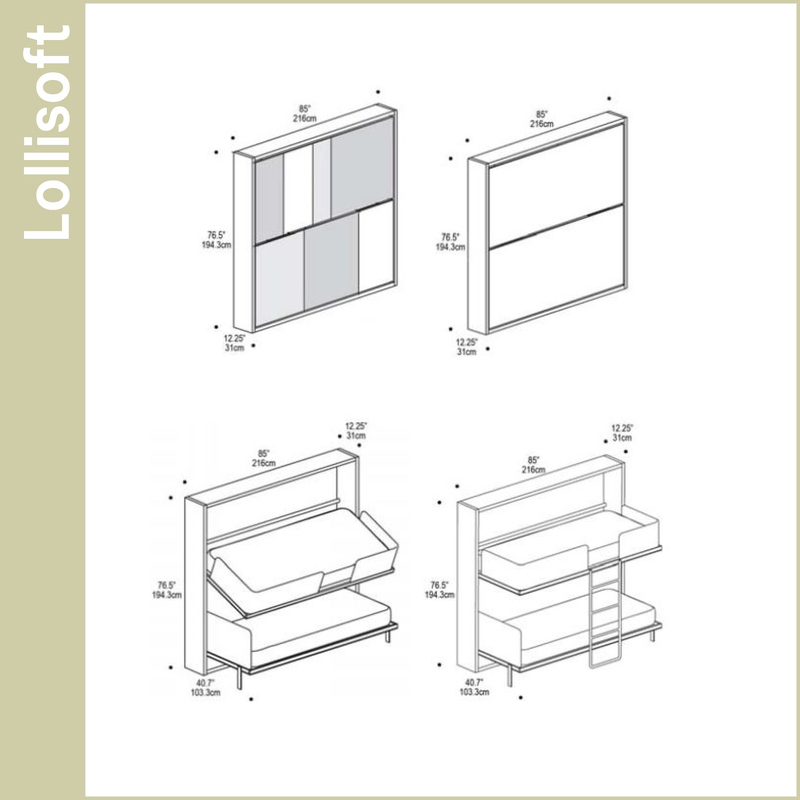 Scroll down for additional configurations or browse all Quick Ship Lollisoft options. The Lollisoft IN is a twin-size bunk bed with an upper soft barrier and additional storage. This space-saving wall bed is available with an optional fold down desk and the system is only 12″ deep when closed.